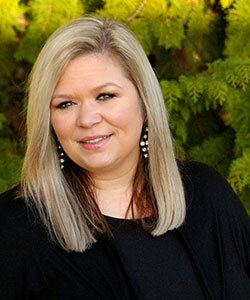 Donna, our office manager, has been the backbone of our practice for more than 30 years. She has built wonderful relationships with our patients over the years, and loves watching their families grow. Donna has lived in Oregon City for most of her life. She is married with three children, two of whom still live at home: Karly and Lizzy. Donna and her husband Rich are very busy with their daughters’ activities. 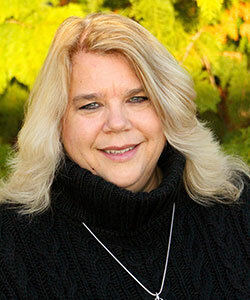 You can be sure to find Donna at many local youth sporting events and lots of other activities here in Oregon City. Donna and her family enjoy camping, biking, and trips to the beach. Traci works in our front office: managing our recalls and follow-ups. She can be also be found behind the scenes working on insurance, referrals, marketing, and more. She joined our practice in 2010 and can’t imagine working anyplace else. One of Traci’s favorite things is hearing about all the fun and cool stuff our patients have going on. Of course, nothing beats seeing our patients so happy the day they get their braces off. Traci and Matt live in Beavercreek with their three children: Emilyann, Elise, and Briar. Traci enjoys spending time with her family, supporting the kids in all their activities, and being outdoors. She likes to go camping, hiking, fishing, hunting, and watching or attending sporting events. Jordyn has been an amazing addition to our front office. She has been with us since December 2012. She attended the dental hygiene program at Clark College in Vancouver and finished in June 2016 with a bachelor’s degree! 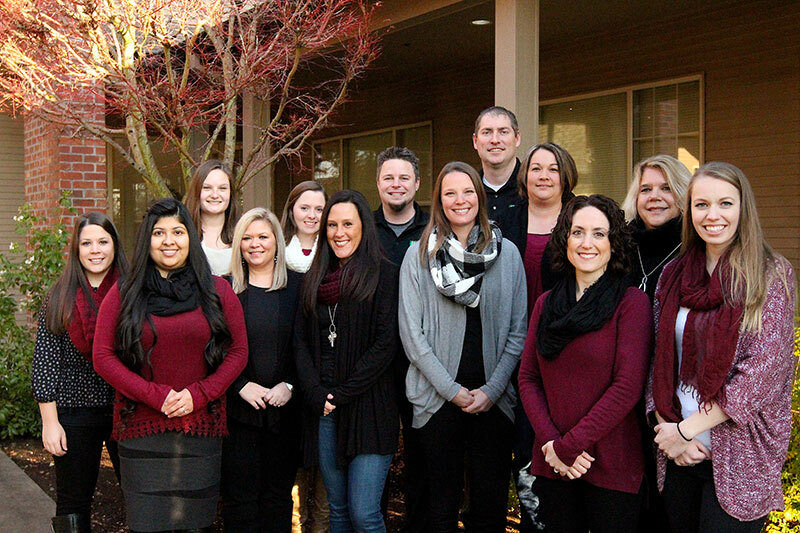 Jordyn enjoys spending her days with our kind, hard-working team in order to help patients achieve great smiles. Jordyn and her husband recently got married and live in Vancouver with their cat, Nancy Girl. In her free time, Jordyn likes to hang out with her friends and family and go camping. She also works part-time as a dental hygienist, so she stays very busy. 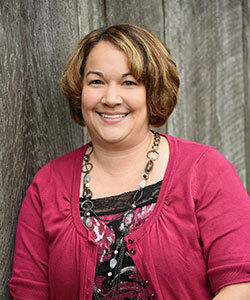 Adrienne has been with our office since 1999, first as a part-time assistant and now as our insurance coordinator. A West Linn High School graduate, she went on to the Potland Community College dental assisting program and has been with us ever since. 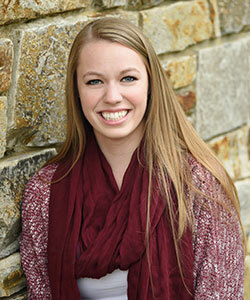 Adrienne loves orthodontics because of the relationships she builds with our patients. Her favorite thing is to watch children mature into young adults with confident smiles! 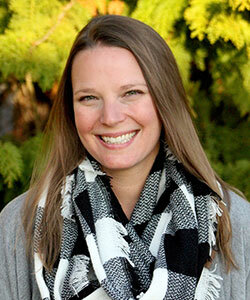 Adrienne lives in Mulino with her husband Devin, and two children, Natalie and Owen. She is a soccer and scout mom who enjoys reading and gardening when she gets the chance. 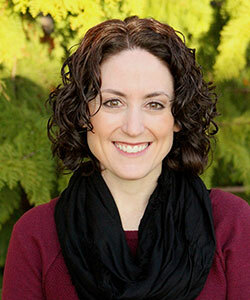 MaryAnn joined our staff in the summer of 2009 as an orthodontic assistant. 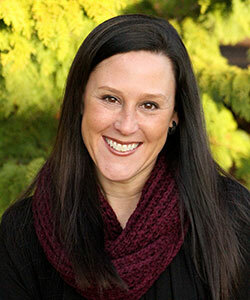 She has more than 18 years of experience in dentistry, which makes her an invaluable part of our team. MaryAnn has a lot of fun in our office and is always up for a laugh! MaryAnn married her high-school sweetheart nearly 15 years ago and has two children, Brianna and Colby. MaryAnn loves the beach so much that she commutes to work almost two hours each direction every day! She enjoys watching her kids play sports, going on road trips, camping, and riding quads. 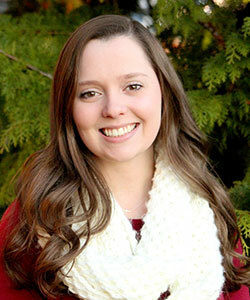 Sarah chose to do her internship with Haskett Orthodontics and we liked her so much, we asked her to stay! She works four days a week so you will see her shining smile any day you come in! Building friendships with our patients and fostering the relationships she has built with her coworkers are just two reasons why Sarah enjoys her job. Sarah and her husband Grant have a young son, Easton, and two dogs, Trigger and Lefty. They enjoy hiking, snowboarding, and being outdoors. 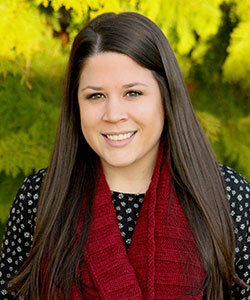 Mel came to us as a full-time assistant and lab tech after graduating from dental assisting school at Clackamas Community College in June 2011. She considers everyone at Haskett Orthodontics — from Dr. Haskett to our staff to each and every patient — to be like her second family. Mel and her husband live in Oregon City and are expecting their first baby in June 2018. They enjoy spending time outdoors, hiking, camping, sightseeing, and snowboarding up on the mountain. Mel also enjoys spending time with her English Mastiff Thunder, working out, and hanging out with friends and family. Katie graduated from Clackamas Community College’s dental assisting program in 2017 and joined our office soon after. She assists Dr. Haskett and works chairside with patients to help them feel comfortable. Katie has a lot of fun at work and loves to see everyone smile at the end of their visits. Katie enjoys spending her free time with friends and family. She has two cats and a dog named Bella. Katie and Nick enjoy the outdoors and you can often find them exploring and hiking with Bella. Misty joined our front office team in 2016. Her smiling face will be one of the first things to greet you when you come into the office! She also helps out during field trips to local elementary schools. Misty enjoys following our patients’ smile journeys: watching as their braces go on and seeing how excited they are when they come off! Misty and her husband Ryan have five children. Two of them are married, one lives in Germany, and the youngest is 16. They love to be outdoors, walking and hiking, especially in the Columbia River Gorge. They are all big sports fans and enjoy watching football, basketball, and baseball together. Misty’s other hobbies include reading and yoga. Karlynn is our sterilization tech and is currently a student at CCC dental assisting program. She looks forward to graduating and starting her career. She practically grew up in this practice, so it’s like working with family every day for her. Karlynn’s passion and hobby is photography. In her time off, she spends time with family and friends or goes out to capture the beauty of the Pacific NW through her lens. 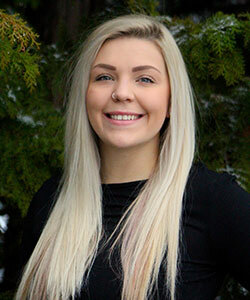 Paige graduated from Clackamas Community College as a dental assistant in 2015 and joined our team in 2018. She comes to work every day knowing that she will help Dr. Haskett make beautiful smiles. She also looks forward to hanging out with an awesome crew of people who love laughing, joking, and making the day fun. Paige recently moved back to OC from Montana with her husband Dillon. They have two spunky German shepherds, Rossi and Thea, they enjoy taking on hikes and being outside with as much as they can. 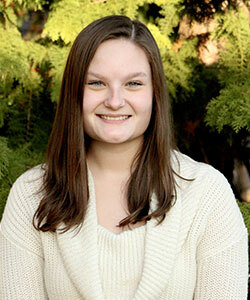 In her own free time, Paige enjoys reading, working out, calligraphy, and spending time with friends and family. 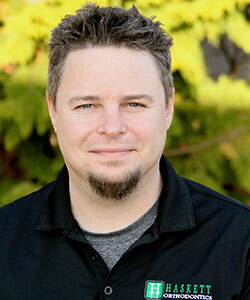 Jonathan joined our office in 2015 as our scheduling coordinator. He greets patients, answers phones, schedules appointments, and much more! Jonathan is great at getting to know our patients and their families and providing them with the high level of service they deserve. Jonathan’s favorite part of his job is working with his best friends every day. Jonathan enjoys spending time with his son Bradley. They keep busy with sports and enjoy camping, hunting, and fishing.